The quarterly peer-reviewed journal has played an important role in promoting research and discourse on feminist, anti-colonial and socialist economic perspectives to the study of law. 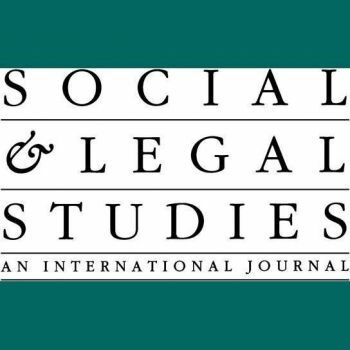 One of the leading peer-reviewed journals internationally dedicated to socio-legal studies, Social & Legal Studies marks its 25th anniversary in 2017. In honour of this achievement, the journal will publish a special issue in December dedicated to reflections on law and society in the past quarter century. The City Law School is pleased to host a seminar and reception on 15th September 2017 which will feature contributors to the anniversary special issue as well as the founding editors of Social & Legal Studies, Professors Carol Smart and Sol Picciotto. “It has been an honour and a privilege to have been involved in Social & Legal Studies for most of my career. I am thrilled that we will host this important milestone at The City Law School, which I know shares the journal’s commitment to the production of outstanding legal research and is committed to the same progressive political principles upon which Social & Legal Studies was founded”. Contributors to the special issue who will be in attendance include Professors Susan Boyd, Debra Parkes, Jon Goldberg-Hiller, Sol Picciotto, Ambreena Manji, John Harrington, Alan Norrie and Dr Henrique Carvalho. The seminar and reception are open to all, and anyone with an interest in the subject is encouraged to register. For further information on the programme please visit this weblink.